Last week we compared the five largest companies on the NASDAQ to the publicly listed metals & mining universe. This week we refined the universe a bit more and compared the tech behemoth Facebook to the precious metal players. 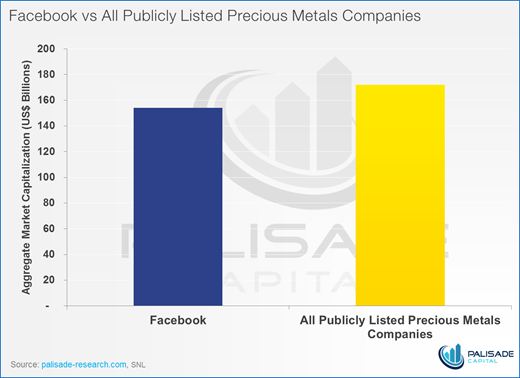 Facebook (FB), which boasts a market cap of $150 billion, is nearly equal to the entire publicly listed precious metals universe, which has a market cap of just $170 billion! 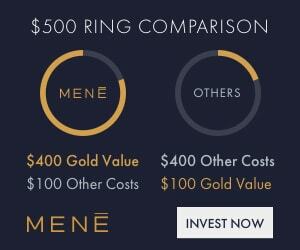 That begs the question: Would you rather own Facebook or every single publicly listed precious metals company in the world? 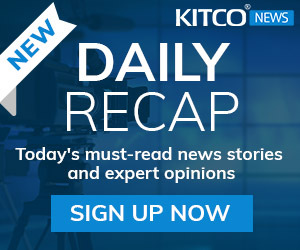 With Goldcorp (GG), Newmont Mining (NEM), and Barrick (ABX) declining on average 80%, it is hard to conceive a much lower valuation for the sector.